Conte, Mourinho, continue ‘sparring’ in the gutter! 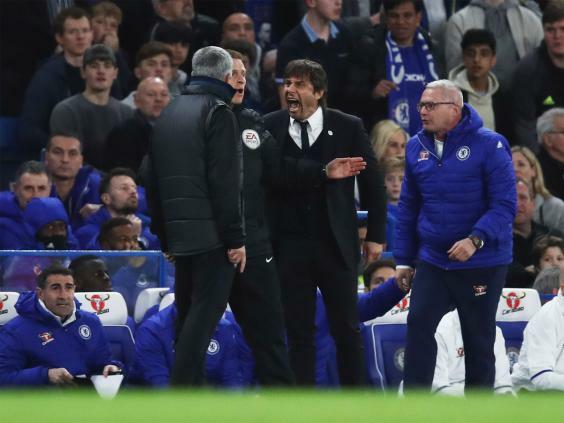 For those who know Antonio Conte well, the only surprise was that this weekend’s spat with Jose Mourinho did not come sooner, and not just because of the Italian’s vibrant history of barbs in Serie A. It was because the Portuguese sideswipes have irritated for so long, and he has badly wanted to have a go for so long. Conte sat on his ire right through last season, with many of those same people thinking that it could only be down to a lack confidence in his level at English at that point – at least in terms of waging a war of words. The Chelsea manager’s initial reaction to the “clown” comment certainly reflected someone who was releasing a lot of pent-up thoughts. For those who know Mourinho, there was no surprise it further escalated from there. For everyone else, the one surprise was the levels it escalated to. It has brought in – and this is only so far – the managers’ very conduct, “demenza senile”, suspensions for match-fixing (that Conte was acquitted for), “fakeness” and even how good they are at the job. In doing so, it has also reached a personal level that has gone far beyond Ferguson-Wenger and even Revie-Clough. That is also the thrill of it. A lot of this may be unseemly, may be ill-advised, may be distasteful and may serve as a distraction from the football, but it is the very football that adds to the thrill. It is genuinely remarkable – and hilarious – that two men as respected as this, and as hugely accomplished in the game as this, will so willingly sink to such levels; to get so dirty in public. There is that slightly guilty joy at the prospect of what they’ll say next; where they’ll be willing to go. They’ve already gone quite far. Even before Mourinho dropped the “match-fixing” bomb, and Conte called him up on his disingenuousness – in this case related to the self-serving use of Claudio Ranieri’s sacking given their previous relationship – that other managers have privately discussed, there was the possible inference from the Chelsea boss that the Portuguese may be past it and uses the “cinema” of this to distract from it. Whatever the ongoing debate about that, there’s absolutely no way that Mourinho is past it as regards his media performance. This proved he’s very much still go it. 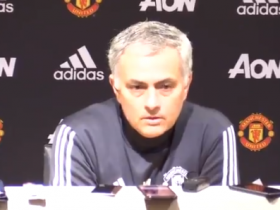 Really, Mourinho’s delivery of the match-fixing drive-by was like a master story-teller – or joke-teller – bringing you along a certain path, making you think one way, before the abrupt and drastic change of direction, and a lasting sting. When the Manchester United boss was asked about Conte’s “demenza senile” comment, he initially – and mostly – went on for two minutes and 25 seconds about how this was all a big misunderstanding, that the press should apologise for how they phrased the questions etc etc. He sounded so sincere, so earnest, except that was all build-up. The set-up before the punchline. There was then the mere 13 seconds that have dominated so much of the discussion, as he performed his mic-drop moment. The tone was also pitch-perfect, even if it was a rare occasion when a manager barb had to actually be ran past lawyers to see how it could be printed. The point here beyond how Mourinho is the “master of communication”, as he is known in Italy, is the clear performative element of it. That’s also why it’s hard not to enjoy. It is cinema, or theatre, or pantomime, as Conte alluded to. And yet, as performative as it is, it also reveals the reality that the sanitised nature of the modern game in the digital media era too often obscures. There can be no empty platitudes ahead of their next match. They greatly dislike each other, if not outright hate each other. In that, there was a richness to what was being discussed, a lot of layers. It would be very interesting to know what Conte really thinks of the Portuguese as a manager, given he has hinted at what a basket case Chelsea squad he found when he came in by describing a “Mourinho season”, and vice versa. And perhaps more than anything, far from istracting from the football, this will only infuse it. Can there be any doubt that both of these managers will have their teams pumped to the maximum for their next meeting? It was already like that last season, especially at Old Trafford. That 2-0 Manchester United win was one of the few times in Mourinho’s tenure at the club that they have really looked like a peak Mourinho side, intensely driven to the limit, and it was of course in response to the riled-up Chelsea that beat them 1-0 in the FA Cup. So what will this be like? Who wouldn’t get excited for such a game? It’s like a pay-per-view build-up. It would be the theatre with the sport, only further electrifying. It need distract from it, or be empty. It is all part of the show – a show that may well go on.